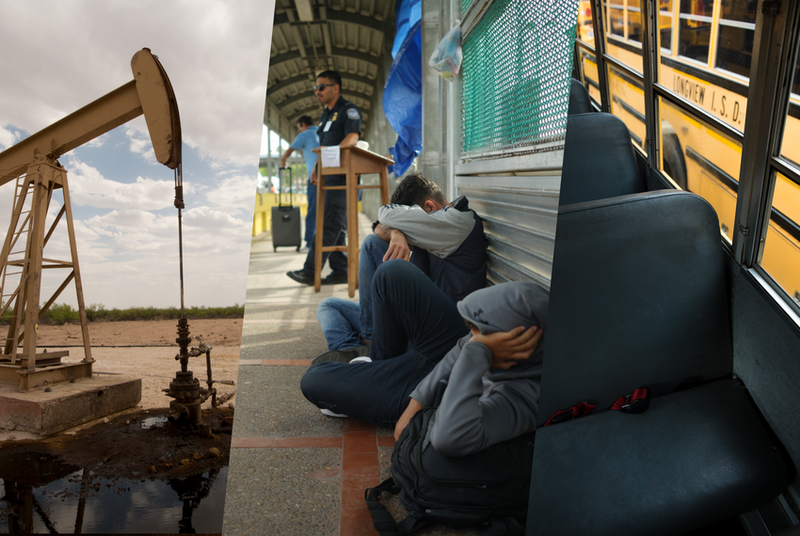 The Texas Tribune produced several deep-dive investigations in 2018 that examined various issues that affect Texans across the state. Here's a look at some of those standout projects. In 2018, Texas Tribune reporters examined the impact of the Trump administration’s "zero tolerance" immigration policy that led to children being separated from their parents. They shined a light on the legacy of segregation in Texas public schools. And they showed how an oil boom is threatening efforts to fight climate change. These are just a few examples of the deep-dive, investigative work that the Tribune produced this year to bring accountability to people in power and to show how policy impacts everyday Texans. The Tribune also provided greater insight on issues including affordable housing, high-speed rail, hurricane recovery, redistricting and maternal mortality. Dis-Integration: In this four-part series, the Tribune examines the systemic causes of school segregation in Texas and their current-day impact. Reporters looked at fears in the Longview Independent School District about a return to the past, how San Antonio ISD is innovating to address its challenges, how Richardson ISD’s school board election process is under fire, and how one Bexar County district reflects Texas’ record of neglecting schools that educate mostly students of color. 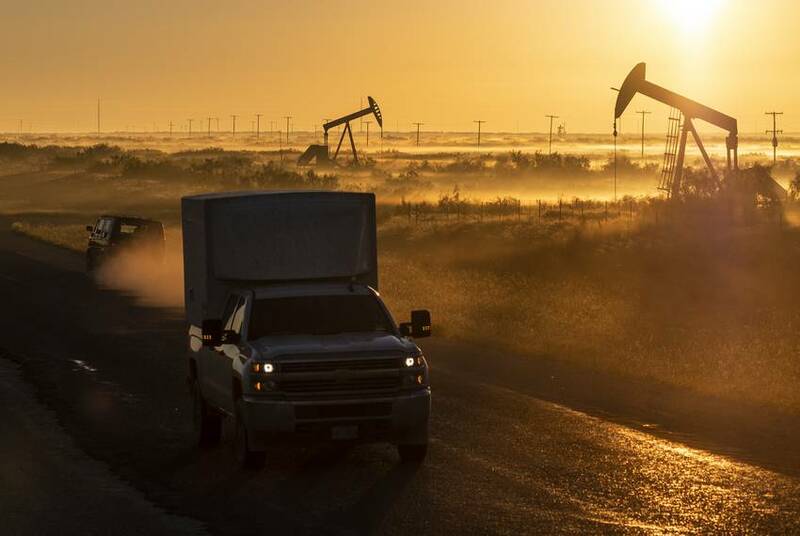 Blowout: This multipart series looks at how an unprecedented drilling boom in the Permian Basin is great for business, but it’s overwhelming communities and threatening the planet. Blocked Out: Texas is booming, but can you still afford to live here? For a growing number of Texans, finding a home they can afford in a neighborhood they like has become increasingly difficult. This series explores the reasons why. The 2018 Senate race: Two years ago, Beto O'Rourke was a little-known congressman from El Paso and Ted Cruz's re-election was considered a foregone conclusion. Then everything changed, and Texas had its closest statewide race in decades. Here’s a deep look at how a race that drew a nation’s attention got so unexpectedly close. 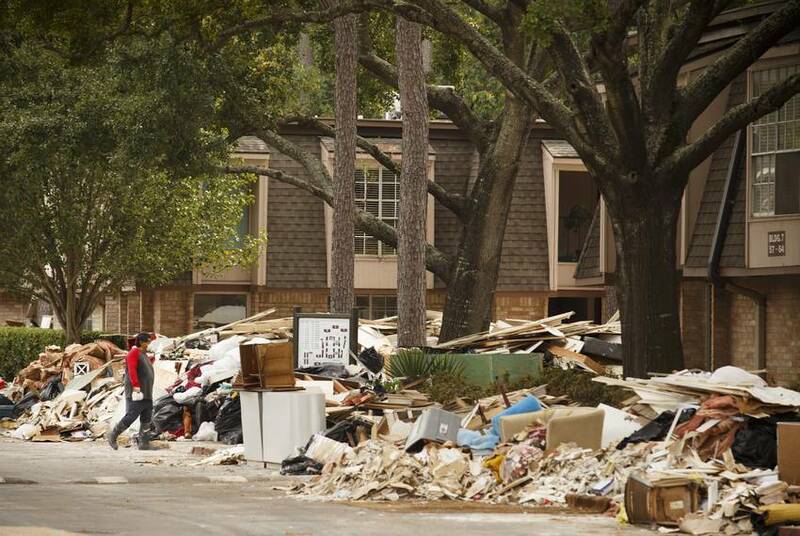 Hurricane Harvey recovery: The devastation to Texas was swift after Hurricane Harvey hit in 2017, and the recovery is far from over. In our “In Harvey’s Wake” series, we looked at rebuilding efforts, the government's response, and what Texas is doing to prepare for future storms. In “Lessons From a Storm,” we wrote about how Harvey upended the lives of the state’s teachers and students — in the classroom and at home. Families Divided: President Donald Trump's "zero tolerance" immigration policy drew sharp rebukes, especially after children were being separated from their parents. Trump signed an executive order in June that would keep immigrant families together, but the impacts of that original policy are still being felt. The Tribune has been reporting on the issue from the Texas-Mexico border, Washington, D.C., and Austin. High-speed rail: In this feature, the Tribune wrote about how a proposed high-speed rail line between the state's two largest urban areas represents the collision of two things Texans hold dear: private property rights and an unrestrained free market. Dangerous Deliveries: For this series, The Texas Tribune traveled across Texas and as far as Poland to investigate why women are dying after childbirth and what can be done to prevent those deaths. Is Texas doing enough to stop moms from dying? The 2020 census: Local officials, demographers and advocates are worried the census could be particularly tough to carry out in Texas in 2020. They are bracing for challenges both practical and political that could make the state, which is already hard to count, even tougher to enumerate.